The word Balochistan has become synonymous with crisis and problems in present day Pakistan. There are a lot of problems faced by Balochistan ranging from insurgency, deprivation, kidnappings for ransom, corruption and complete collapse of government machinery amongst other problems. However, one problem in Balochistan often overshadowed by security related problems is the electricity crisis of the troubled province. Electricity crisis is a major problem for entire Pakistan but in Balochistan its much bigger crisis and beyond control to say the least. To sum up the problem in one phrase, the load shedding in Balochistan will not end even if the country has surplus electricity. The reason is hidden in the obsolete and weak transmission network of electricity in Balochistan. The total electricity demand of Balochistan in peak season is around 1620 MW, equal to total demand of Multan region alone. The demand falls to 1200 MW in winter season. 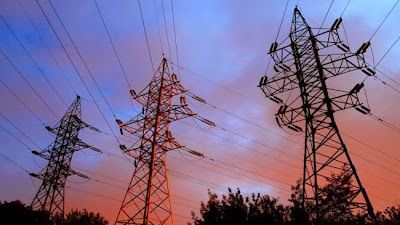 The primary problem is that electricity transmission network has the capacity of 700 MW and to be on safe side 650 MW is transmitted. These statistics were provided by Federal Minister for Water and Power, Khawja Asif in National Assembly. This means that when there is no load shedding in rest of the country in winter season, people in Balochistan continue to suffer the worst load shedding or load management as Wapda calls it. This is a serious problem and should not be overlooked in context of wider electricity crisis in entire country. The effects of prolonged load shedding have been devastating for the people of Balochistan. Most of people in rural areas are farmers and since there is no canal irrigation system in most of Balochistan, electricity-powered tube wells are the only source of water for irrigation. Using other fuels such as diesel to run the tube wells increases the costs multifold and makes it unaffordable for the farmers. This means that livelihood of most of people has been taken away from them because of load shedding of electricity. Quetta has minimal load shedding because QESCO, the electricity distribution company in Balochistan, can’t supply uninterrupted electricity to all cities so it does to the biggest one. In other districts, people get electricity for only 2 to 4 hours in Summer and maximum 8 to 12 hours in winter when there is no load shedding in cities like Lahore. Considering the population of Balochistan, which is less than city of Lahore; this is a travesty of justice. Apart from that most of the Balochistan suffers from low voltage problem. It’s because only one transmission line provides electricity to the province through Guddu in Sindh. Few years back, work on two new transmission lines began to solve the electricity crisis in Balochistan. One transmission line connects Dadu to Khuzadr and the other one connects Dera Ghazi Khan to Loralai. The estimated cost of these two transmission lines is 10 billion rupees. These were scheduled to complete in 2011 but even now there is no sign of a definite completion date of these transmission lines. Even after their completion these will add 730 MW in system. The new capacity of electricity distribution infrastructure in Balochistan will be 1430 MW and still there will be a shortfall of 200 MW in peak season. So, if government has started a project to solve electricity crisis, it should, at least, solve the problem completely when and if the project is ever completed. To rub salt to wounds, State minister for Water and Power, Abid Sher Ali, declares people of Balochistan electricity thieves. Balochistan is not the sole target of bad mouthing by him and one day he lets loose his tirade against KESC and another day people of Khyber Pakhtunkhaw are electricity thieves according to the person who got his ministry due to his relations with the ruling Sharif family. People like Abid Sher Ali are fanning the Anti-Punjab sentiments in smaller provinces. When people get only two hours electricity daily then how much electricity they can steal or use unmetered. There are some people who are involved in electricity theft but it’s only possible due to corrupt staff of QESCO, who takes bribe to allow such theft. In Balochistan 1700 MW of electricity is produced but most of that is transmitted to Sindh. Entire electricity production of 1000 MW plant of HUBCO and 520 MW UCH Power Plant is transferred outside Balochistan. According to a study conducted by Alternative Energy Development Board’s Rural Electrification Project for Southern Balochistan, 5000 MW of electricity can be produced in southern Balochistan only though wind Turbines. No one is interested in funding the project of wind turbines not even the Balochistan government which gets almost 200 Billion rupees annually from divisible pool of Federal government. The electricity crisis in Balochistan is smaller in magnitude and can be easily resolved. Government of Balochistan and specially the Federal Ministry of Water and Power needs to show commitment and sincerity towards solving this problem. The two aforementioned transmission lines should be completed on war footings. If the Babus in Islamabad are not releasing funds for these projects based on concocted excuses then Government of Balochistan should finance them. Electricity should also be imported from Iran in higher quantities. Given the sense of deprivation in the province and its small population, it should be declared a load shedding free province. This can be made possible in short span of time and without using too much resource. Solving this problem, to some extent, can reduce the sense of deprivation in Balochistan.